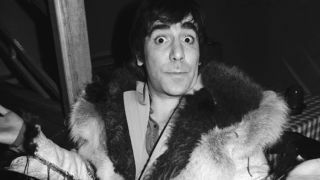 The Who's Keith Moon is set to get the biopic treatment. A deal to bring the life of the iconic drummer to the big screen has been struck between Da Vinci Media and Exclusive Media, Billboard reports. Wendy Rutland, of Da Vinci Media, said: "I am a massive Who fan and consider Keith Moon to be the greatest rock drummer of all time. I could feel Roger's passion and detailed perspective for this unique story after our first phone call. We are excited to be topping up our deal with Exclusive, and look forward to growing the relationship." The Who frontman Roger Daltrey is part of the team behind the planned movie. In a statement he said: "The Keith Moon project is one close to my heart so I am excited to reinvigorate it and grateful to Wendy, Toby and Da Vinci for their enthusiastic support."